32.41 crore Jan Dhan accounts have been opened with more than Rs 81,200 crore of deposit balance. 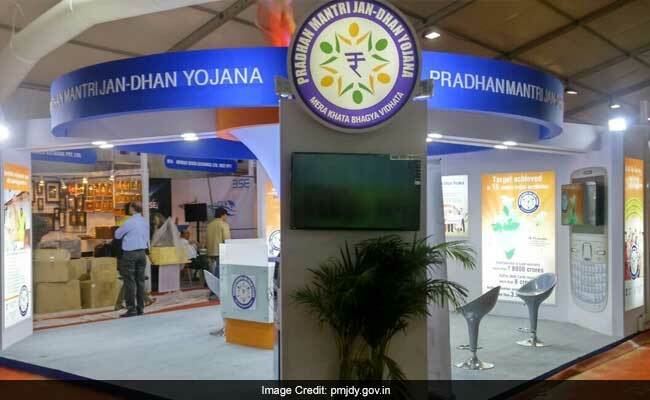 The Union Cabinet on Wednesday decided to make the Pradhan Mantri Jan Dhan Yojana (PMJDY) an open-ended scheme and added more incentives to encourage people to open bank accounts. "In view of the runaway success of the scheme, now it has been decided to make it open-ended with more incentives", said Finance Minister Arun Jaitley. The National Mission for Financial Inclusion (PMJDY) will continue beyond August 14, 2018, said an official release. The flagship financial inclusion scheme was launched in August 2014 for a period of four years. 1. The overdraft limit for account holders of Pradhan Mantri Jan Dhan Yojana has now been doubled to Rs 10,000 from Rs 5,000 earlier and there won't be any conditions attached for overdraft up to Rs 2,000. The age limit for availing overdraft facility has also been revised from 18-60 years to 18-65 years. 2. Under the expanded coverage from 'every household to every adult', accidental insurance cover for new RuPay card holders has been raised from Rs 1 lakh to Rs 2 lakh to Pradhan Mantri Jan Dhan Yojana accounts opened after August 28, 2018, said the release. 3. According to the release, 32.41 crore Jan Dhan accounts have been opened with more than Rs 81,200 crore of deposit balance and 53 per cent are women account holders and 59 per cent accounts are in rural and semi urban areas. 4. The pipeline of Jandhan-Aadhaar-Mobile (JAM) will continue to provide the necessary backbone for coverage of these activities and thereby accelerating the pace of digitised financially included and insured society, added the release. 5. Launched in August 2014, the first phase of the Pradhan Mantri Jan Dhan Yojana scheme was focused on opening basic bank accounts and RuPay debit card with inbuilt accident insurance cover of Rs 1 lakh. Besides, it provided Basic Banking Accounts with overdraft facility of Rs 5,000 after six months Phase II beginning August 15, 2015 was planned to provide micro-insurance to the people and pension schemes to unorganised sector workers.